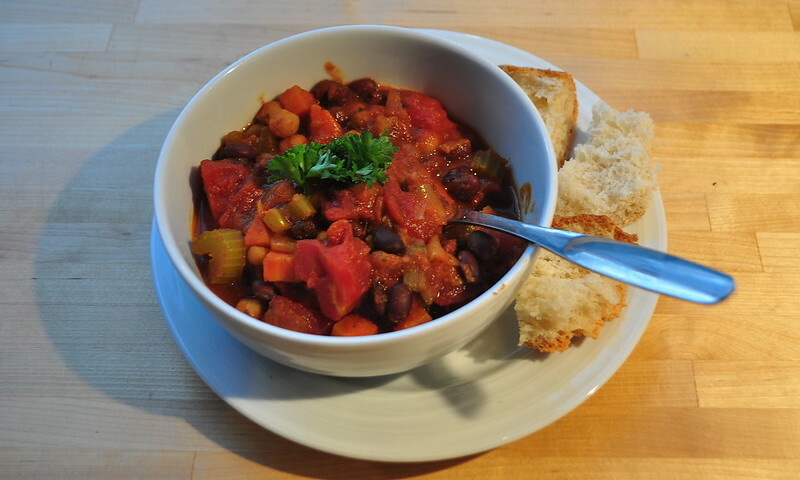 i love me a good chili, especially during these cold winter months. 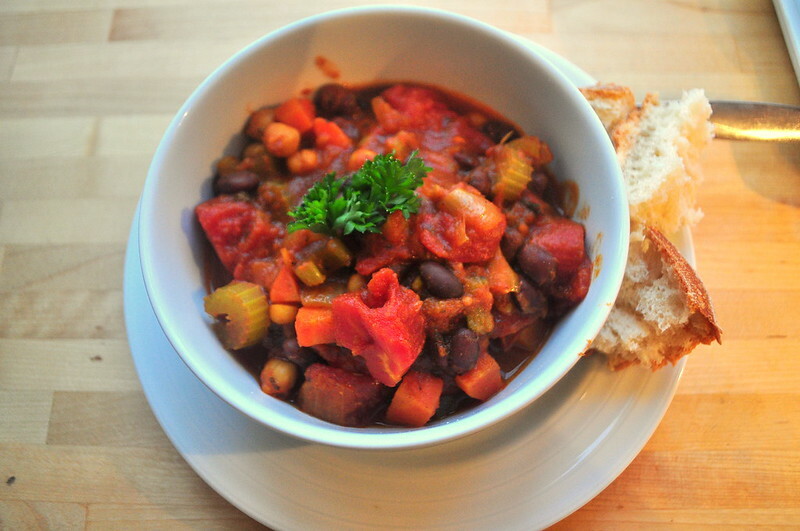 this is my own version of a veggie chili. there are lots and lots of recipes out there, and sometimes it’s good to try something different with an old favourite. 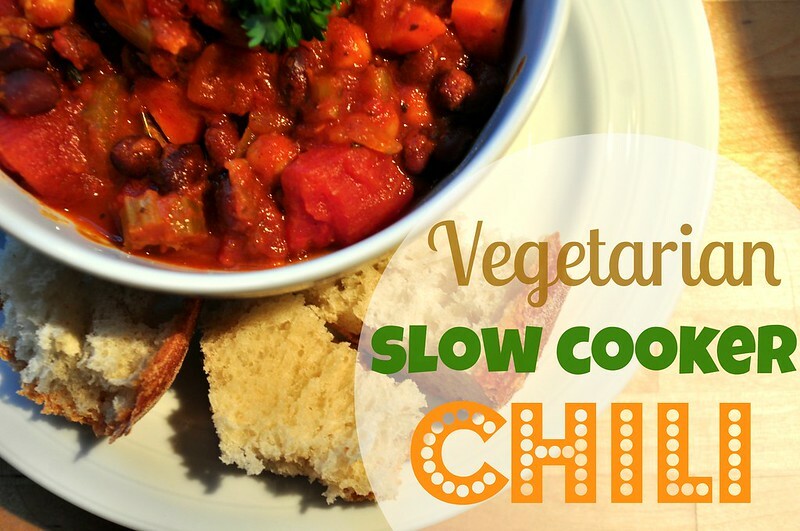 but, here is my tried and tested vegetarian chili recipe. 1. chop up onion and garlic. stew in pan with heated olive oil. 2. throw in chopped carrots, celery, zucchini and red bell pepper. add to slow cooker. 3. add beans and spices to the slow cooker. mix ingredients well before starting cooking process. 4. i cook mine for about 5 hours, but i have done it in less time when in a time pinch! 5. serve with a dollop of sour cream or shredded cheese on top! my kids love chili! sometimes if i have pasta sauce or rice left overs in the fridge i will throw those into my chili. and, if i feel like we need a protein kick i will add a block of tofu of any density. thanks for featuring my recipe, alice!